At this year’s Jubilee reunion, more than 40 members of Fordham’s LGBTQ alumni affinity group, the Rainbow Rams, gathered for cocktails and camaraderie on the terrace of the William D. Walsh Library. Jerold Kulik, FCRH ’93, caught wind of the get together after a young alumnus draped a rainbow flag over the banister. “It was like seeing the bat signal,” said Kulik, who quickly alerted his college roommate Tom Penna, FCRH ’93. For three years Kulik and Penna were roommates, and neither told the other they were gay. Rainbow Rams are not just limited to the club, or students, and alumni at Fordham. They touch all walks of life—from the bucolic campus of Rose Hill to the hustle and bustle of Lincoln Center. 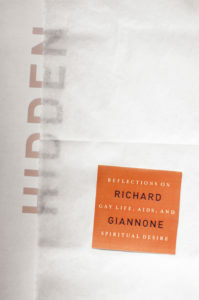 Richard Giannone was a professor of English at Fordham when FUP published his searingly honest and richly insightful memoir, Hidden: Reflections on Gay Life and Spiritual Desire. 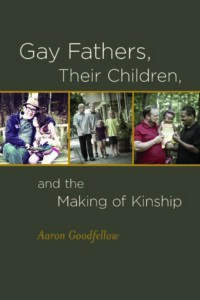 First published in hardback, then re-issued in paperback, Hidden eloquently captures Giannone’s transformation from a solitary gay academic to a dedicated caregiver, as well as a sexually and spiritually committed man. 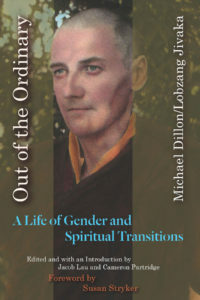 Patrick Hornbeck (Chair, Department of Theology, Fordham), Christine Firer Hinze (Professor of Theology, Fordham) and Michael A. Norko (Yale University School of Medicine) spearheaded the two volume set, More than a Monologue: Sexual Diversity and the Catholic Church. More than a Monologue aims to promote informed, compassionate dialogue about issues of sexual diversity within the Catholic community of faith, as well as in the broader civic worlds that the Roman Catholic Church and Catholic people inhabit. 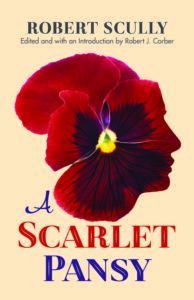 It received a starred review in Publishers Weekly. FUP’s, Director, Fredric Nachbaur received his certificate from the university’s Office of Multicultural Affairs for successfully completing training to be an ally of support for the Lesbian, Gay, Bisexual, and Transgender (LGBT) Network. He is available on campus to offer support to any students or community members who are feeling anxious, unsure, or unsafe about their sexual identity and how it affects their life at Fordham. Nachbaur said this was “very cool to be happening at a Catholic university. . . [It] promote[s] an understanding, acceptance, and appreciation of all our students that is rooted in the Jesuit tenet of Cura Personalis and the principle that all people should be treated with dignity and respect, which is explicit in Catholic teaching.” (Read full story.) You can follow Fred Nachbaur on @fnachbaur.